Just last month, NAPA celebrated its LGBT Pride Month and stood beside its brothers and sisters in mourning after the Pulse Shooting. The time has come once again to stand beside brothers and sisters in mourning in light of the killings of Alton Sterling, Philando Castile, and the 5 officers killed in Dallas. NAPA organizations were founded with primarily Asian and South Asian roots and its oldest member organization was founded in 1929 because of rampant discrimination during that time. The NAPA Board acknowledges, appreciates, and remembers daily all of the work and sacrifices of previous generations that affords certain opportunities and privileges today. The NAPA Board also understands, though, that its organizations have come a long way in terms of diversity and inclusive membership. NAPA has many members with different identities and also intersectional identities. 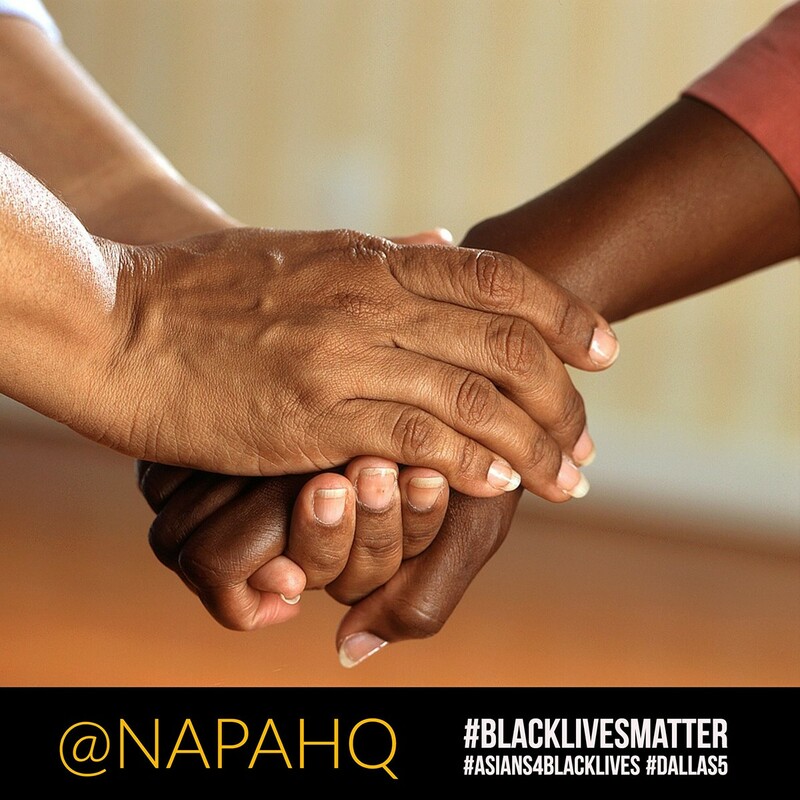 NAPA organizations must unite under support, comfort, mutual understanding, and respect. The NAPA Board wants its individual members to know that we see, we hear, we feel for, and are with them. The NAPA Board knows that much work still needs to be done and will not rest until it is completed.